← Mid MO Cyclocross – No Really – For Real! 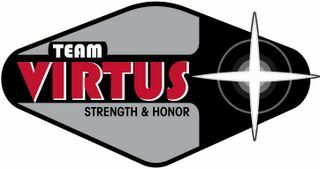 Posted on October 25, 2010, in Training and tagged Adventure Race Training, Team Virtus Training Day, Virtuesday. Bookmark the permalink. 6 Comments. You know I’ll be there. Woke up feeling pretty sick today, but whatever. I believe Stoney will be there, and Zack has pledged his allegiance to Virtuesdays, so we should have a solid group ride together. Cant remember if Robby is available or not? I wouldn’t mind seeing the Candyman toe the line for this week’s ride. See what I did there? Nice! I feel like dog crap! You won’t see me tonight, but hopefully next week…I’ve been sick with this crap for almost a month! I’m planning on being there. I feel even worse today, but usually I feel better while I’m riding. I’ll be there…. breathing on all of you. Anyone coming out tonight for Virtuesday? I will be there at 8:30 ready to clip in if we have any interested folk wanting to ride. Bob and Luke, this will be a perfect-easy recovery ride and i’m buying the first round afterwards! Seriously, just let me know if anyone wants to ride and i’ll be there. Pingback: I was run-ning! | Toe the Line!